Anyone who has graduated or been married understands the pain and agony of writing so-called ‘Thank You’ notes. On its surface the idea of a Thank You note is perfectly harmless and is in fact a very polite gesture afforded to the giver, having been the recipient of their selfless generosity. My qualm with these notes of appreciation is introduced as a reaction to the idea that Thank You notes are something to be expected and anticipated by the gift giver. I have actually had people ask me why they did not receive a Thank You note for a particular gift – the cold hard truth is that I didn’t write one, plain and simple. It isn’t that I was not grateful for the gift, I almost always thank the giver in person because it is much more personal this way and not carbon copied and signed out of fake gratitude because it is required…yet, this somehow isn’t enough. It seems that these people need something tangible that they can hold in their hands, read once, and throw away. In reality, thank you notes are really just a form of Indian giving…giving a gift and expecting something in return, in this case it is a frilly piece of folded card stock with some scribbled ink on it. Why can’t we just give someone a gift and be done with it? If they then choose to write a thank you note, so be it. But doesn’t the fact that it is required or expected take away the significance of the gesture? 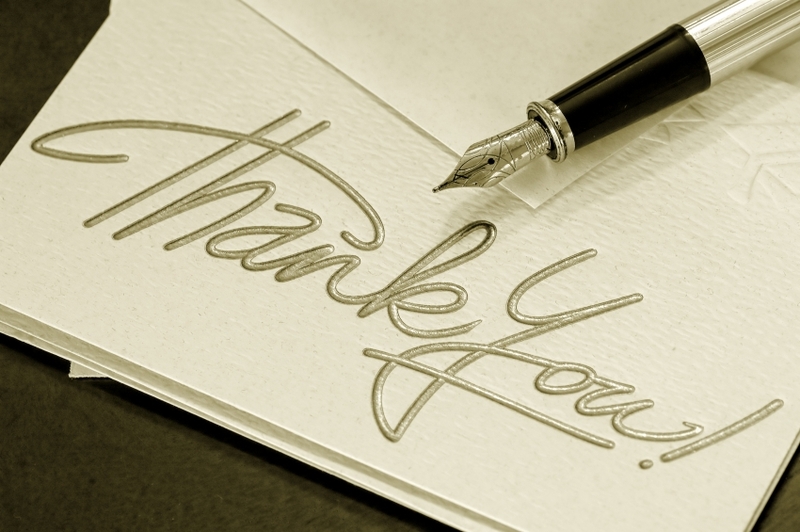 Many people use the requesting of a thank you note as a front for making sure that the intended recipient actually received the gift. The only instance I can think of where this would apply is if the gift was mailed. If you went to the wedding/graduation then it’s the same as hand delivering the gift and you can be 99.9% certain that the right person got the gift, with those odds you have no business suspecting that the gift "got lost on the gift table." However, even if the gift was mailed…how hard is it to call the person on the phone and ask if they received it? The receiver may then thank you vocally and not have to worry about the time and money that goes into writing and mailing an actual note. So what is the solution? Gift recipients are between a rock and a hard place as they try to express their gratefulness but also not waste time and money on meaningless thank you notes. I propose that from now on, the giver is responsible for giving a true gift…in addition to whatever the gift is, also give the recipient freedom from the bonds of thank you note writing. Include a piece of paper with the gift explaining that you do not want a thank you note. Better yet, include a pre-written note with a stamped envelope with the gift that can easily be dropped in the mailbox with little or no effort. This way the gift receiver will have a clear conscience having met the requirement of writing you a thank you note and the gift giver can get a tangible thank you note with whatever self centered boastful flattery they wish because they wrote it themselves.